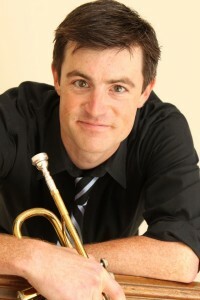 John Freeman has playing trumpet with symphony orchestras in the Bay Area for around 5 years. John is originally from Charlotte, NC and attended the Cleveland Institute of Music for his bachelor’s and master’s degrees. Shortly after college, John was awarded the Principal Trumpet position with the Charleston Symphony in South Carolina, which he held for two years before moving to San Francisco. John has participated in music festivals including the Tanglewood Music Center, National Repertory Orchestra, Round Top Music Festival, Yellow Barn Music Festival, and the Spoleto USA festival. He is now the Principal Trumpet of the Marin Symphony, and also a member of the Oakland East Bay Symphony. John also regularly performs as an extra with many of the Bay Area symphony orchestras and teaches both privately and at California State University, Stanislaus. John lives with his wife in San Francisco and also enjoys spending time cycling, long distance running, and roasting coffee.